4 Beds 2 Baths 1,569 Sq. ft. 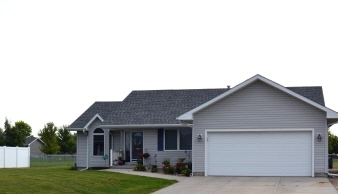 This Lovely Ranch style home with 4 Bedrooms 2 bathrooms situated on a Nice Large Lot. Beautiful Vaulted Ceilings. Extra Space in the basement For a nonconforming bedroom/Workout room/Office. Extra large patio and fenced in backyard. A MUST SEE!! Situated on a Nice Large Lot! Extra large patio and fenced in backyard. Extra Space in the basement For a nonconforming bedroom/Workout room/Office.